Disturbed, often shrubby forests. An occasional escape, often fairly far from habitation. First collected in 1988 by A. A. Reznicek et al. in Washtenaw Co. Unique among our Rosaceae in having opposite leaves. The fruit resembles a blackberry where only four or fewer large druplets have matured, but the druplets are dry, hard, and glossy black. 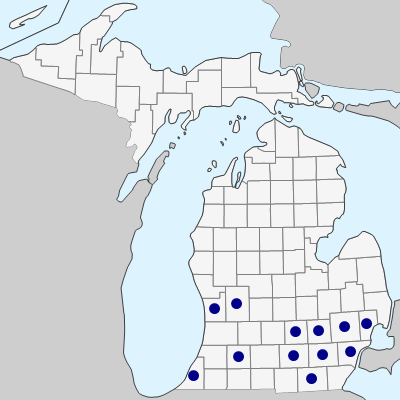 MICHIGAN FLORA ONLINE. A. A. Reznicek, E. G. Voss, & B. S. Walters. February 2011. University of Michigan. Web. 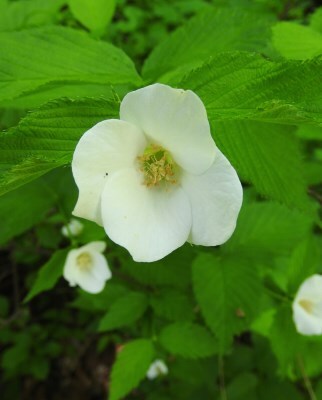 April 20, 2019. https://michiganflora.net/species.aspx?id=2534.